Mexican Wedding Cookies are soft and sweet, made from sugar, butter, and flour combined with chopped pecans, then rolled in powdered sugar! 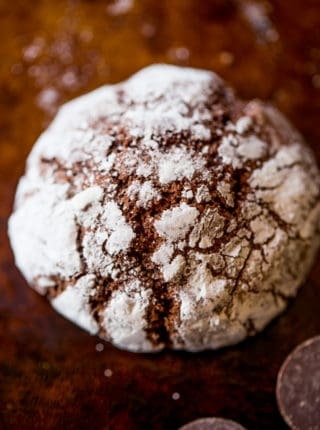 Cookies rolled in sugar are a secret favorite of ours including these Hershey’s Kiss Cookies, Peanut Butter Blossoms and these rolled in powdered sugar Dark Chocolate Crinkle Cookies. 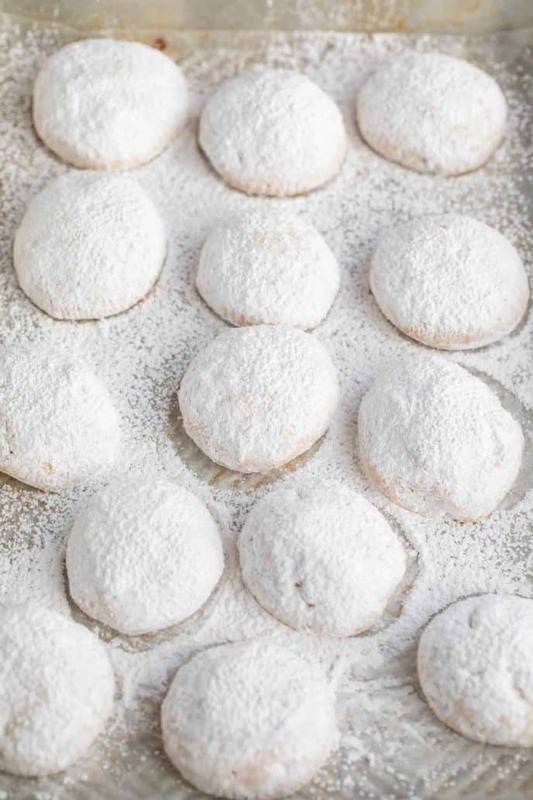 Mexican Wedding Cookies are a popular dessert to serve for special occasions like holidays, made with butter, all purpose flour, sugar, and pecans, then rolled in a thick layer of powdered sugar. These are also called Mexican Wedding Cakes, even though they’re technically a cookie. I like to make a double batch of these, then freeze half for another night. You can also freeze the dough, then bring them from the freezer straight onto a baking sheet when you need a quick dessert option. They are melt-in-your-mouth good, so it’s not surprising that they’re so popular! Mexican Wedding Cookies are actually known by several different names, but are very popular in the United States. The origin is somewhat unknown, but some guess that they originated in England, or even the Middle East. ARE MEXICAN WEDDING COOKIES THE SAME AS RUSSIAN TEA CAKES? These are actually the same dessert, just with a few different names. You may also hear them referred to as snowball cookies or Italian wedding cookies. 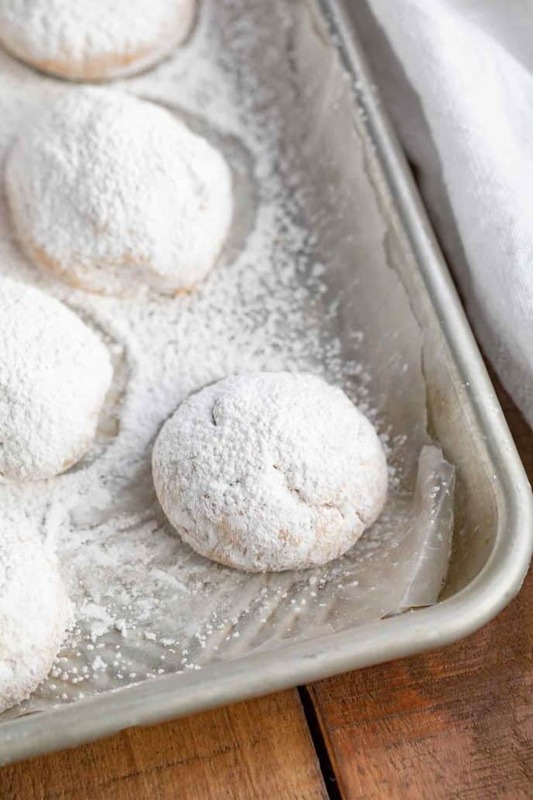 “Snowball cookies” are named for the layer of confectioner’s sugar on the outside of the cookie. 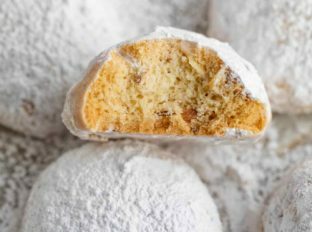 Though they’re effectively the same, Italian wedding cookies and snowball cookies are also made with walnuts. They are also sometimes referred to as butterball cookies, which again are similar to snowball cookies but also traditionally are made with walnuts instead of the pecans which are traditionally used in Mexican Wedding Cookies. HOW LONG WILL MEXICAN WEDDING COOKIES KEEP? Mexican wedding cookies will last in an airtight container at room temperature for about a week. 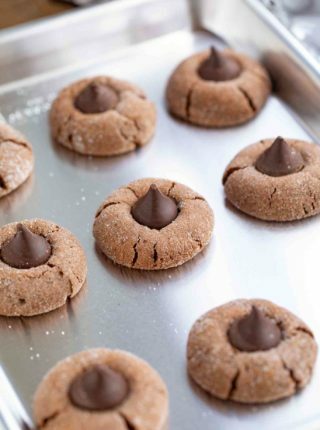 Store them with a sheet of parchment paper between each layer, to keep the cookies from sticking together. CAN YOU FREEZE MEXICAN WEDDING COOKIES? If you’re going to freeze them, wait to add the powdered sugar until after your cookies are defrosted. Place them on a baking sheet and reheat them at 300 degrees F for a few minutes, then roll them in powdered sugar, adding more as needed. If you want to freeze the dough, place the balls on a baking sheet and place the baking sheet in a freezer for about an hour. Then move the balls to a plastic bag, and wrap the plastic bag in tinfoil to make it airtight. You can bake them while the balls are still frozen, then roll in the powdered sugar as normal. 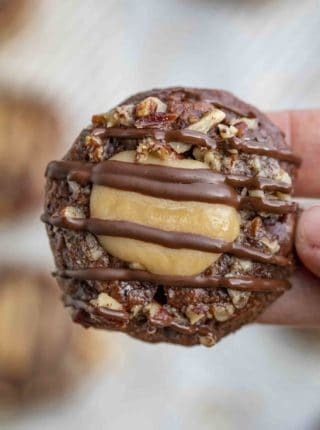 Use a small ice cream scoop to scoop out the cookie dough, then roll it into a ball with your hands. This will help make sure each cookie is about the same size. This recipe uses pecans but you can make this with other nuts like walnuts, hazelnuts, pistachios, or almonds. You can also toast the pecans or use my Slow Cooker Candied Cinnamon Pecans to add more flavor. 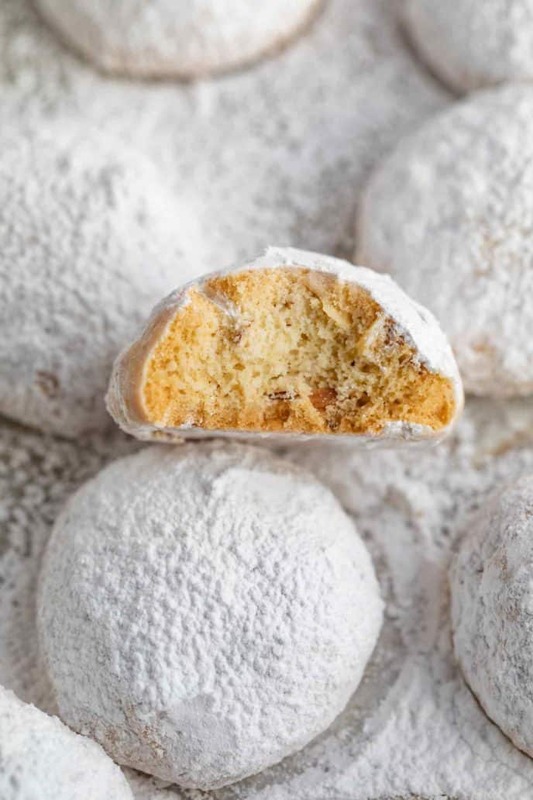 Traditionally these are rolled in powdered sugar, but you can also try icing them to make Italian Wedding Cookies, or dipping them in chocolate ganache. 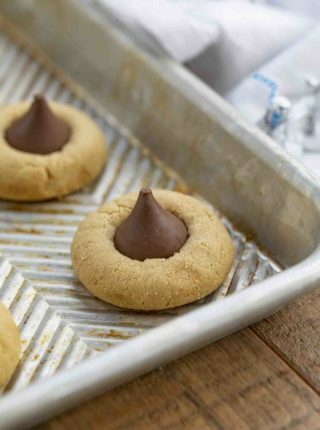 You absolutely have to refrigerate the dough before you bake these cookies, because otherwise your cookies will flatten instead of keeping the signature shape. You can also chill them quickly in the freezer, for about 20 minutes. In a stand mixer, beat together the butter and 3/4 cup powdered sugar on medium speed until light and fluffy before adding in the vanilla and salt. Sift the flour then add it in until just combined and fold in the pecans. Chill the dough for 2 hours then bake rounded tablespoon sized cookie dough balls at 325 degrees for 12-14 minutes before rolling warm cookies one at a time in remaining 1 cup of powdered sugar. Absolutely love the chopped pecans and powdered sugar coating. YUM! So glad you enjoyed them! Thanks for the 5 stars. These were so delicious! I was a little intimidated to make them, but they turned out great! So glad you enjoyed the, Pam! Thanks for the 5 stars. These are worth baking! So good! These are a family favorite. So yummy!